Established in 1958, Piscitello Home Center has over one hundred years of combined experience as a family-owned and operated business. Company President Gaetan Piscitello and our entire staff are passionate about helping our customers get what they need. You can call us with confidence, knowing we’ll do whatever we can to help you complete your project on time and under budget. Our Home Center and all our services are available to customers in and around the Lehigh Valley and western New Jersey areas. 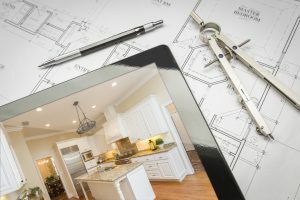 Kitchen and bathroom remodeling are big decisions. We’ve been providing reliable, custom kitchen and bath layouts and designs to our customers for three generations. We offer flexible and convenient options for your home and walk you through the entire process, so you can select the perfect design to meet all your kitchen and bathroom remodeling needs. Our custom kitchen and bath designs allow you to easily envision how your new space will look. We’ll help you select new, energy-efficient doors and windows to upgrade your home in style. Our full line of new doors includes entry doors made of wood or steel, simple slab or intricately detailed interior doors, plus patio, cellar and garage doors that give your home character. Windows brighten the darkest room and allow fresh air indoors. Choose efficient double-paned or triple-paned windows made by top manufacturers like NorthEast Windows. Visit us at Piscitello Home Center at 2300 Wood Avenue in Easton, Pennsylvania. Our friendly customer service staff will help you locate what you need. Our hardware store has an extensive selection of plumbing materials from recognized leaders in the industry in stock at all times. Choose from the largest selection of traditional, contemporary and transitional faucets, tubs, toilets, showers, sinks and accessories from brands like Delta Faucet, Kohler, Maax, Moen and Sterling. We carry a wide variety of hard to find items and specialize in unique special orders to ensure you’ll find exactly what you need. If you’re having difficulty finding the hardware items you want, look no further than Piscitello Home Center.